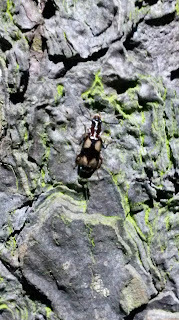 Dalgety Bay Nature: See Spots run. Run Spots, run. 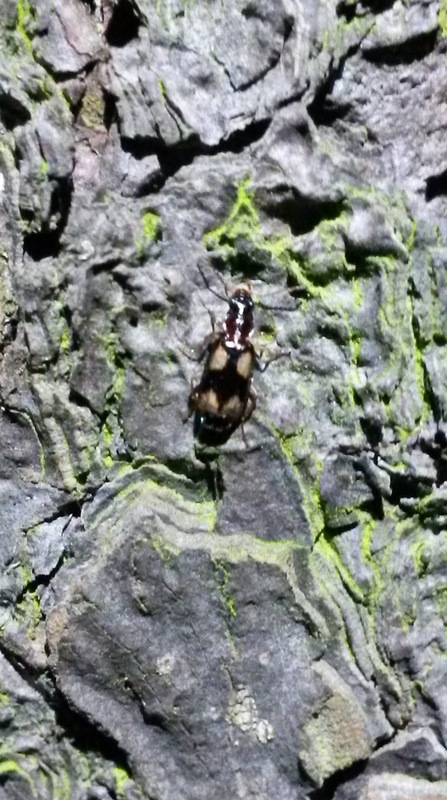 Dromius quadrimaculatus where I always see it - on a tree trunk at night. Went out head torch last night in hope of random moth netting but caught nowt and saw mostly already-recorded species. I did pull a middle instar Pentatoma rufipes out of some ivy and potted a moth fly and a spider which will inevitably be immature. Who knows what might come of that. The moth fly key is still in print and therefore a pain (=takes more than 10 seconds) to obtain but I may do it anyway. I became county moth recorder this week. There may be a slight pause as I contemplate the gravity of this decision! Congratulations on the moff post, I shall endeavour to find a date for my Endrosis sarkybugger in a hotel somewhere in St Andrews. About 8 years back, if that helps?